From Los Angeles to New York and all around the globe, Christine from Tour de Lust is always looking forward to her next adventure, and she never misses a beat when it comes to sharing her endless sense of wanderlust with her readers. Through her bright, whimsical photography to her creative travel tips and tales, Christine has a knack for creating inspiration that will tickle your urge to see the world. 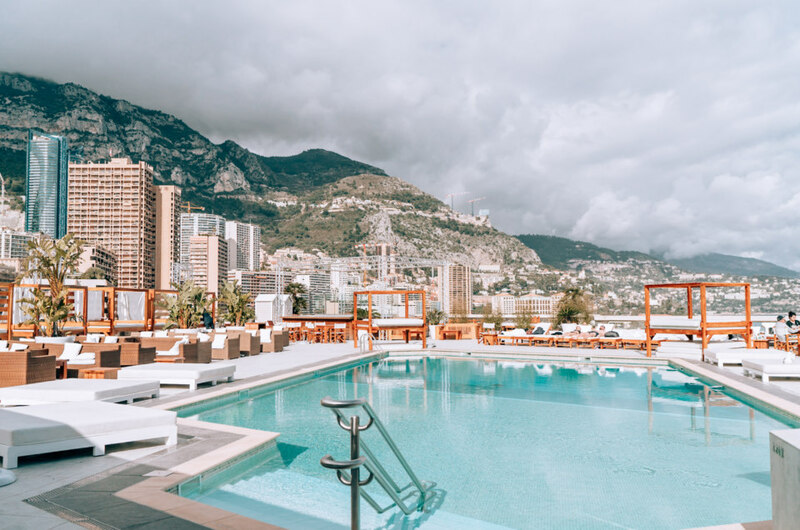 With a recent trip to the Fairmont Monte Carlo, a luxury hotel nestled on the French Riviera in Monaco, under her belt, we knew she was the go-to gal to get the inside scoop on this dreamy Mediterranean getaway. Hi Christine! Thanks so much for taking the time to chat with us today. Can you tell us how you got into travel blogging and photography? 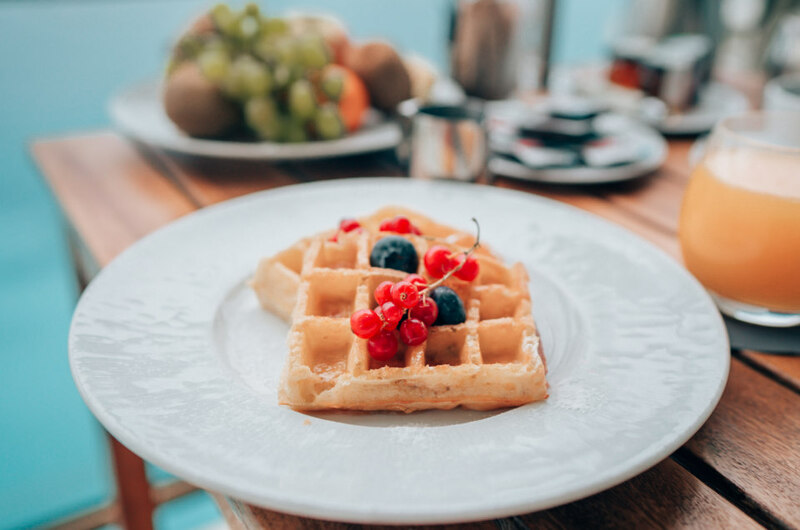 I’ve always been a big foodie and traveler and loved capturing photos of the food I was eating around the world and sharing it with my friends and family. I decided to start a blog two years ago and began capturing more images of my travels to inspire others to go out and explore the world. How would you describe your travel style? Has it changed a lot since you first started blogging? It hasn’t changed too much, but I definitely travel at a faster pace now. I find myself always in a rush to get to the next spot or destination to capture images. I’ve learned to try to slow down and really take my time to enjoy where I’m at. Your recent trip with Fairmont Monte Carlo was your first time visiting the property — and the country of Monaco! How would you describe Monaco? Monaco felt very urban with a lot of history. It’s such a beautiful country located right on the Mediterranean Sea and immediately when arriving I could already feel the energy of having one of the most luxurious vacations. What was it like staying in the Fairmont Monte Carlo? From when we arrived and were greeted by the staff, we immediately felt welcomed. Throughout our stay the staff was always friendly and most of them knew us by name! We had a sea view balcony room and loved it, it was one of my favorite parts during my stay. It really reminded me as if I was on a luxurious cruise ship! The Fairmont Monte Carlo is considered the most luxurious hotel in Monaco. What makes it stand out from other luxury hotels? The hotel is built over the sea, making its guests feel like we’re at sea, too. It’s quite a unique experience. It has the only rooftop pool in Monaco and the view of the Fairmont Hairpin makes the property quite unique. The rooftop pool is the most Instagram-worthy spot as it has an amazing backdrop of the city and sea. The Fairmont Hairpin is also my favorite as it’s such an iconic viewpoint during the Formula 1 Grand Prix. You’re a self-professed foodie. What were your favorite foodie finds in and around Monte Carlo? Any particular favorite gems inside the Fairmont we should check out too? Nobu is my all time favorite restaurant, and I loved every single dish! The food is fresh and tasty and will never disappoint! I also really enjoyed having lunch at the Horizon Deck. The Buffet at Your Table comes with a selection of small starters, choice of fish or meat dish, and assortment of sweet treats. One of our favorite photos from your trip was snapped on the Horizon Deck. What’s the champagne bar like? 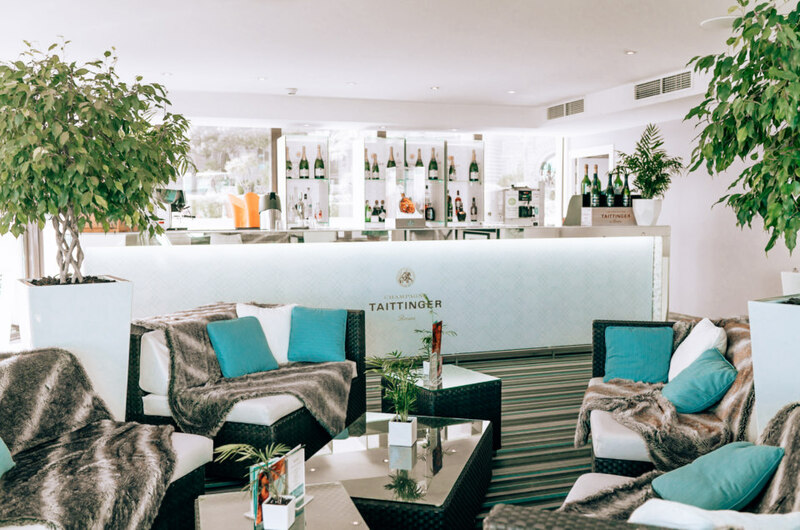 The champagne bar is perfect for all occasions from pre-dinner drinks, a date or meeting. I loved the cozy set up of chairs with blankets to allow guests to feel warm, cozy and comfortable. We already know it’s obvious which hotel they should stay, but what would you recommend first-time visitors do, see, and eat while they’re in Monaco? First-time visitors should spend time at the famous Monte Carlo Casino, Larvotto Beach, Tour the Palais du Prince, explore the Old Town of Monaco Ville and Fontvielle. Monaco is in the perfect location for visitors to do day trips to Eze, Menton and even make a visit into Italy! Inspired to recreate Christine’s dreamy stay at the Fairmont Monte Carlo this year? Click here for more information about the Fairmont Monte Carlo and use Tour de Lust to craft your picture-perfect itinerary.